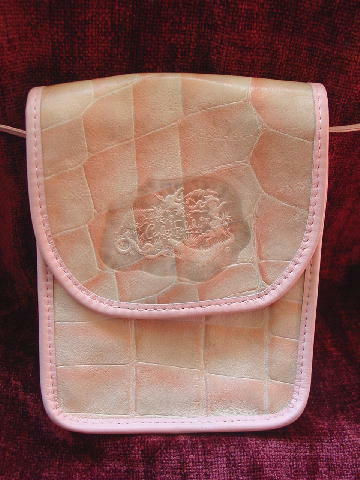 This multi-tone pink, antique white, and light gray leather purse is by Carlos Falchi. 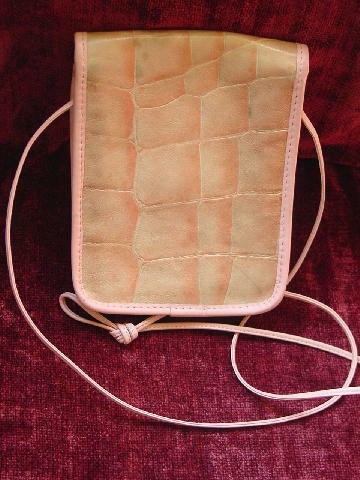 It has an embossed crocodile pattern and the Falchi elevated logo on the front of the lid. Under the lid is a one snap magnetic closure. There is a thin 50" by 1/8" shoulder strap. The back has an line mark on the lower right side. 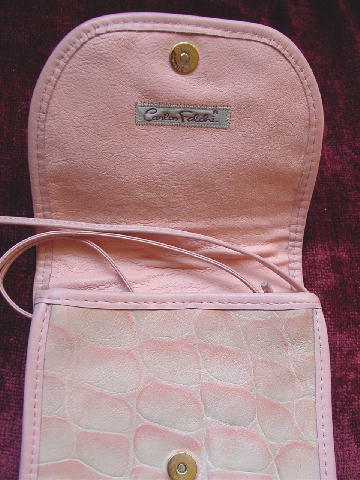 The interior has a pink leather lining and a Carlos Falchi tag under the lid. The bottom pink edges have some light gray areas. It's from a German model.